Wine tour - Georgia, the oldest wine country is the ultimate destination for wine lovers with its fine wine regions (khakheti,Radja) and its world famous cuisine. 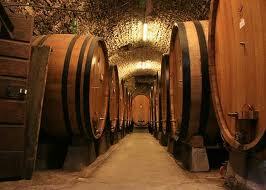 We offer private and group tours in the wine country, that are for guests looking for unique and tasted wine tours. we tailor and personalize fabulous tours to your specific interests and needs. Some sample experiences you could look forward to on our wine tours include VIP winery visits to premium estates with owners and winemakers; wine tastings of old and rare vintages.